Calling for an End to Muslim Immigration – Wake Up! Wake Up! The crisis of refuges from the Middle East steaming into the EU has brought much attention to the problem with Muslims having relocated in the past refusing to assimilate into their new host countries. The hoards finding the shores of Europe are mostly Islamists. They seek safety from the turmoil, wars and destruction of their native lands. The are coming to the EU, where ‘multiculturalism’ was once a favorite politically correct term, expecting arms wide-open to new-comers. But this experiment, having failed, looms over the new arrivals as the prospect for their assimilation into the host country that accepts them is doubtful. German’s Chancellor Merkel has been a voice of reason, according to the media, as she calls for more doors of EU homes be open to the refuges. Yet in the past, as recently as October 2010, Mrs Merkel told a gathering of younger members of her conservative Christian Democratic Union (CDU) party that at “the beginning of the 60s our country called the foreign workers to come to Germany and now they live in our country… We kidded ourselves a while, we said: ‘They won’t stay, sometime they will be gone’, but this isn’t reality….And of course, the approach [to build] a multicultural [society] and to live side-by-side and to enjoy each other… has failed, utterly failed.” So what does she now expect? The problem is not immigration or refugees. 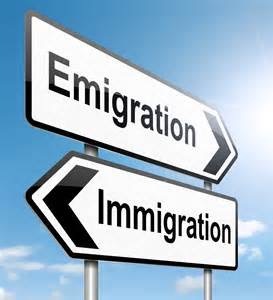 Open hearts and minds believe full consideration must be given to making accommodation for this mass emigration dilemma. But the obstacle may well be Islam and its presence in Europe. It is growing and the habits of the minority population of non-Europeans to impose their culture and religious demands, seeking changes to the laws of their host countries to accede to cultural practices foreign to the EU, are seen as detrimental to the democratic fabric and freedoms upon which the member states were established. Now considered the truth is that Islam is a complete civilization that does not hold one principle in common with the Kafirs, the non-Muslims or non-Islamic believers, and thus the Europeans. The concern is a total collapse of European society as it is known. “We cannot be asked to destroy our own society.” – Andreas Kamm, Secretary General of the Danish Refugee Council. History has proven that Islam is an aggressive ideology that has made many attempts to invade new areas beyond the Middle East and the Arabian Peninsula. Immediately after the death of Muhammad in 632 invasions into Jerusalem and North Africa, as well as East into Persia, took place carrying the banner of the Mohammedans. Armies that were created had to be financed, paid and fed and only by the continuation of exploits of plunder, destruction and territorial imperialism could this band of brothers remain employed. Europe became an objective. The invasions were, however, stopped. In 752 from the West thru Spain into France and in 1683 from the East, thru Turkey and the Balkans, into Austria. An empire built in the name of Islam with a Caliph at its head grew until the early 1900’s. That is when the Ottoman Empire ended. All was quiet and Muslims then lived where they were born, primarily in northern Africa, the Arabian Peninsula, Turkey, and to the East, Iran, Afghanistan, todays’ Pakistan and Bangladesh, as well as Indonesia. Then there was oil. With gushing black gold after the end of WWII Saudi Arabia and Iran, among other Muslim Nations, began to emphasize, using their Allah given wealth, their ideology and seek ways to expand beyond current borders. Oddly, though, a need for employees in Europe, where populations were not increasing sufficiently to maintain growing economies, turned towards Turkey, Algeria, Pakistan, and elsewhere, with invitations to come and work. It was to be temporary, but that has not been the case. Also these invitees decided to maintain their identities, the hosts not insisting they assimilate, learn the language, study the history and habits, and embrace their new nationalism. Left alone they were emboldened to insist they have a place in this new society and that it adopt and accept their requirements. Over time it has become problematic. Faced with so many invaders from cultures foreign to the EU, except in those micro-states referred to as ‘no-go’ zones, what was a mostly silent majority is speaking out saying enough is enough. The concerns are directed primarily at Muslims. With the barbaric practices of ISIS displayed all too often in various media sources a greater awareness of the reality of Islam is evident. Also, said recently by Cawo Abdi, of CNN, “This brutal minority, a dismal number of Muslims engaged in terrorism, has become the de facto defining feature of the Islamic world… driving European and American political and military intervention in the Muslim world.” Many Muslims disagree vehemently with the practices of the fundamentalist Islamic groups feeling their culture, that which they grew up in and understand, is being undermined. With that, resistance to this strict ideological thinking and the practices associated with it are increasing. A desire to return to the civilized, democratic, tolerant and traditional values of the nations that comprise the members of the EU, before the demands of the Islamists, is being heard. The politicians are not wholly on board. There is evidence, however, of political factions growing, a more conservative and protective cadre, that are voting to make the changes necessary to quell the presence of Islam in the EU. This can be done in several ways. One – prevent more Muslims from immigrating. Two – insist new arrivals become citizens of the country as a whole, not a fragmented resistance force for Allah. Three – break-up ‘no-go’ areas by insisting the residents abide by the laws and practices of the host country. Four – stop the construction of mosques and madrases where Islam and hate towards Infidels, democracy and laws other than Sharia, is preached. Five – enact legislation preventing the practice of Islam when it interferes with the standards of the host country. Another offshoot of this is the conversion of Muslims to Christianity or no religion at all. Feeling disenfranchised and discouraged many Muslims have come to grips with the fact the fundamentalists are teaching and preaching the most literal interpretation of the Quran and with Muhammad as their example pushing forward an agenda at variance with their learning and understanding. If what ISIS and Wahabbists are espousing is true Islam, then they are not Muslims, for that is not what they believe. Rather than becoming heretics, they choose a path more in concert with their heart. They are not apostates as the Islam of the Al Qaeda, the Taliban, the Caliph Ibrahim, and the Wahabbists, and others of strict practices of 7th Century Islam, is not a reflection of their faith in God. The wars in the Middle East, the hatred towards non-Muslims in those areas to include persecution and killing (to include those viewed as heretics – moderate Muslims), the instability from multiple factions that believe their Islam is the truth and condemn to death those who disagree, have created inhabitable zones. World leaders are incapable of dealing with the conflict, the confusion and the factions at work. It is a mess of enormous proportions without cogent answers or proper responses. Is America at fault? Certainly there is more than enough blame to be shouldered by Presidents from Eisenhower to Obama. But that is a discussion for another time. The immigrants are the steam arising from the caldron of trouble brewing and burning in areas faced with murdering bands of brothers, Muslim Brothers, confused, conflicted, controlled, compelled and commanded to act, thinking it is the Will of Allah. The chaos that is in play is difficult to comprehend, justify or properly address. But somehow we must deal with the thousands, possibly millions, seeking a life outside the zones of conflict and the zealots of Islam. Calling for an end to Muslims arriving in lands whose history is at odds with the ideology and threatened by this unwanted invasion is understandable. There will be turmoil, change, conversions and conflict between liberal thinking and conservative thinking, as well as challenges economically to the areas most burdened by the immigrants. The battle to be fought is one of self-preservation, safety in homes, protecting historical foundational values that attracted the earliest of settlers, and futures for children and loved ones free of conflict. Even the most welcoming citizen does not want bloodshed at their doorstep caused by their willingness and open-hearts. The days ahead will not be without unexpected consequences. We can pray, indeed, that God has a purpose in mind for the events transpiring. If we are collateral damage, so be it, that is His plan, but our prayers will all be that the end result is a peaceful world where acceptance of others, tolerance and justice prevails.